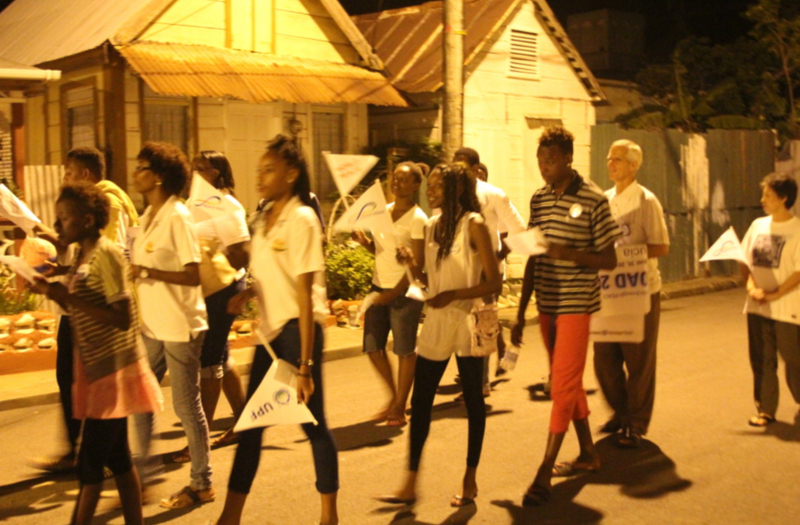 FFWPU St. Lucia: On August 13th 2015, FFWPU St. Lucia held a Peace Road event in co-operation with the Youth on Fire Ministry (YOFM), a young adults group of the Catholic Church in the fisherman village of Anse-la-Raye. 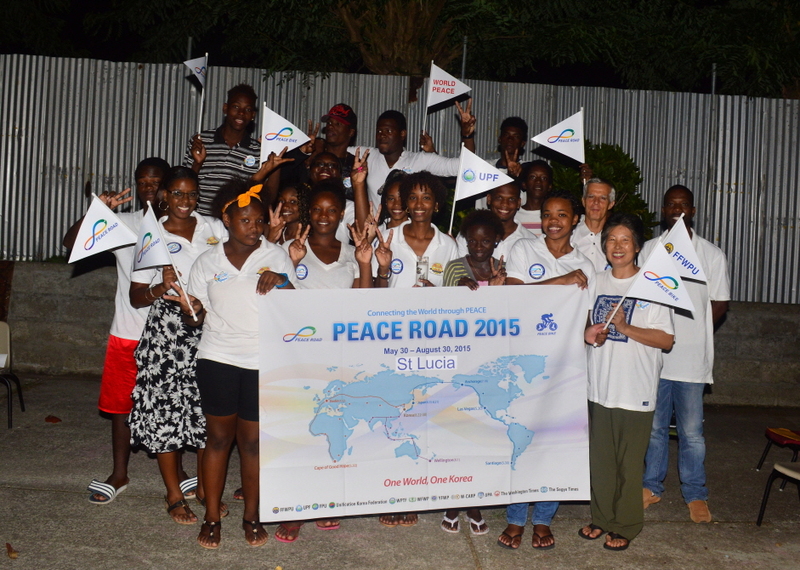 Ms. Faustina Edwards of the YOFM introduced the Peace Road Project with information from the Peace Road website. She explained that it was the fruit of the vision of Rev. Sun Myung Moon to bring world peace among nations, races and religions by connecting them through a system of international highways and a tunnel at the Bering Strait between Alaska and Russia. Ms. Kerstin Medard, president of the YOFM, divided the participants into 5 groups and gave each group a quote to reflect upon. 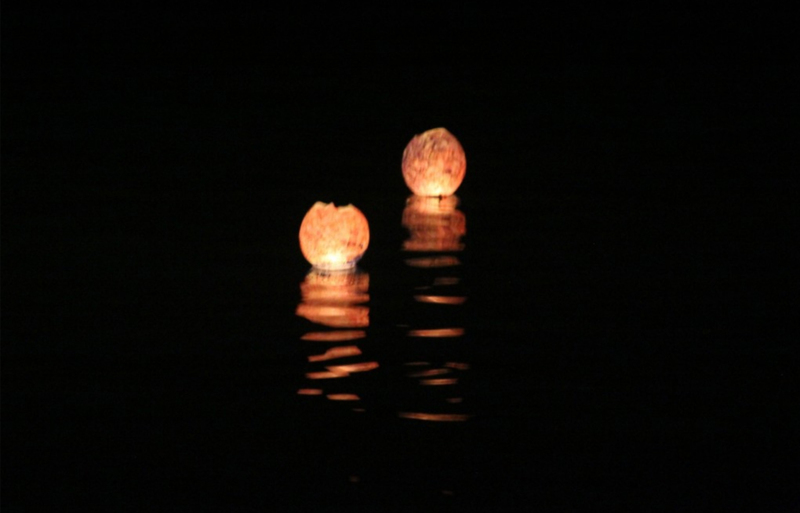 “Darkness cannot drive out darkness; only light can do that. Hate cannot drive out hate, only love can do that.” – Martin Luther King. 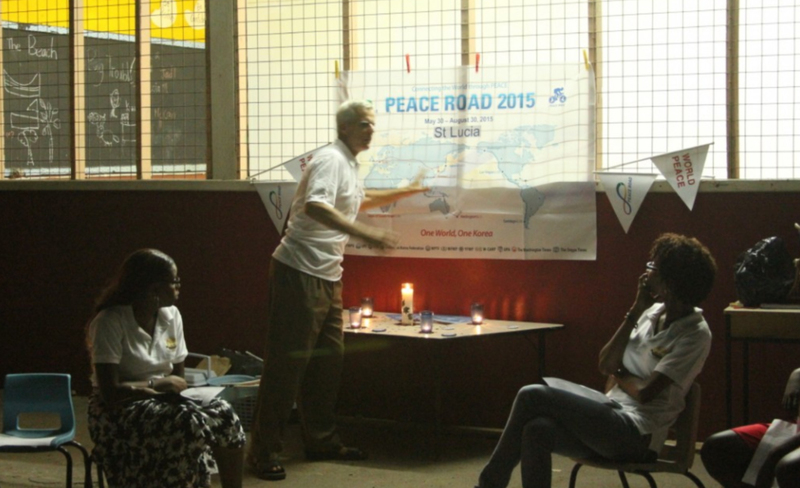 Each group held discussions and then proceeded to share their thoughts with the rest of the participants. 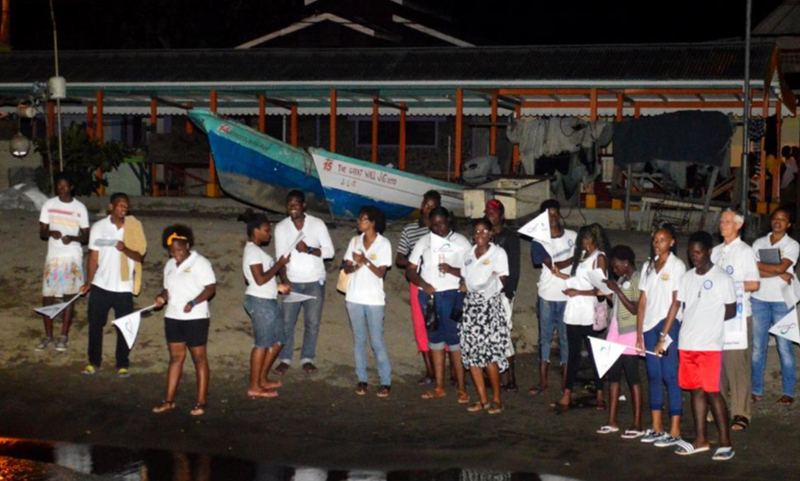 After taking a group photo, there was a march through the village up to the seashore and the event culminated with the launching of peace lanterns over the ocean. 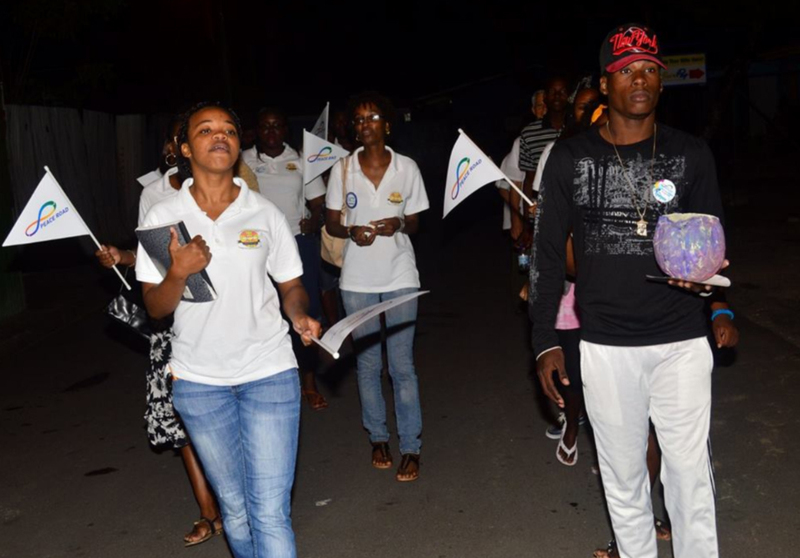 It was truly significant for the St. Lucian young people to be part of this world event.